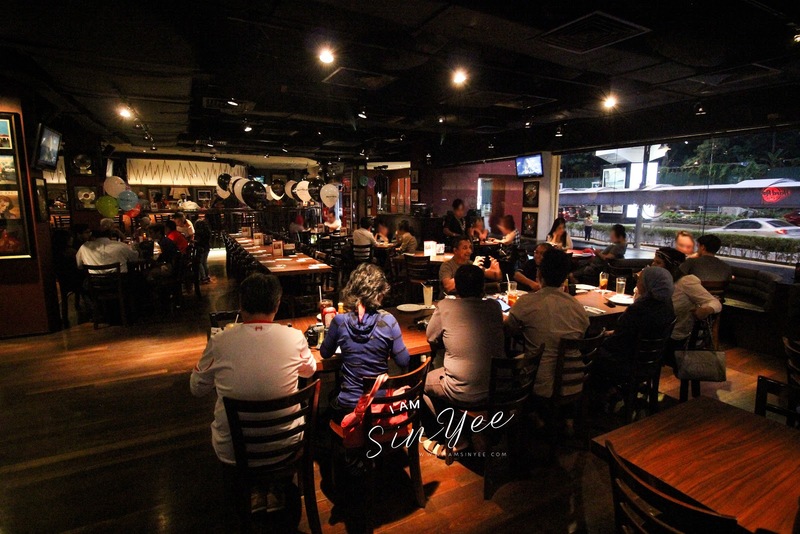 Home F&B Hard Rock Cafe Makes Their Limited Time Dishes To Permanent New Menu! 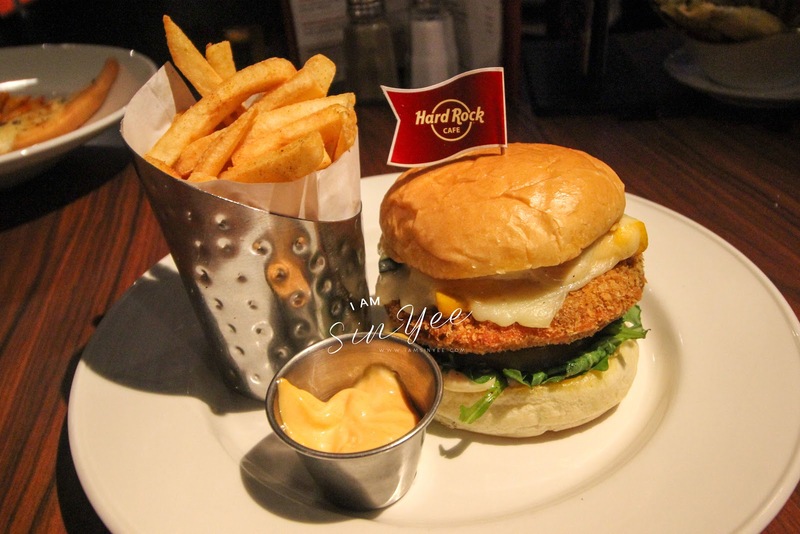 Hard Rock Cafe Makes Their Limited Time Dishes To Permanent New Menu! 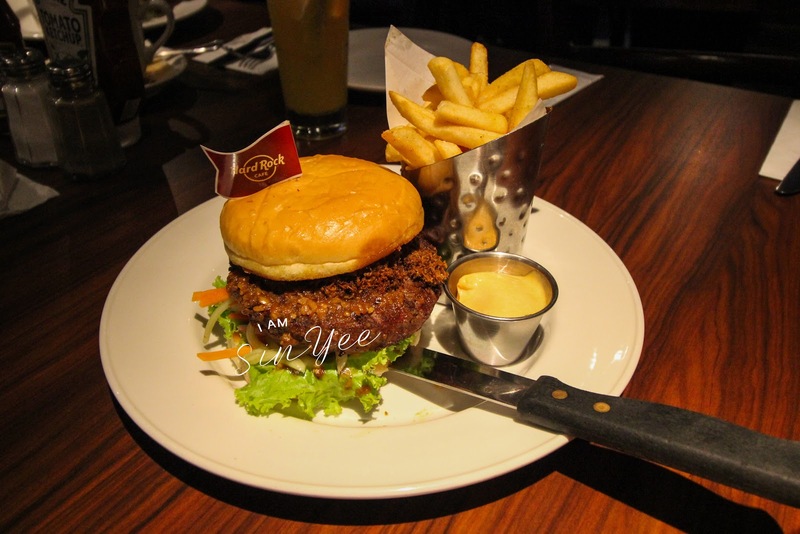 If you are a huge fan of Hard Rock Cafe, you probably have heard of their limited-time menu. Guess what? Because of you~~~ Hard Rock Cafe has now decided to give these dishes a permanent stay on their core menu! I am sure everyone know about Hard Rock Cafe. With venues in 75 countries, including 176 cafes, 23 hotels and 10 casinos, Hard Rock International (HRI) is one of the most globally recognized companies. 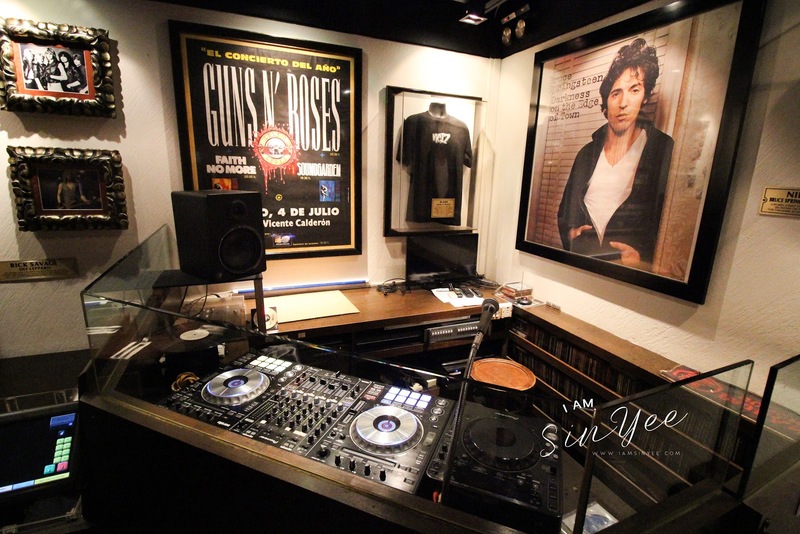 Beginning with an Eric Clapton guitar, Hard Rock owns the world’s greatest collection of music memorabilia, which is displayed at its locations worldwide. The collection is so impressive, and of course, classic! Okay~ I know everyone is more concerning on what’s the dishes. So, without further ado, let’s check them out… In total, there are 11 dishes added into the core menu, from appertizer to dessert. An assortment of Southwestern style spring roll, which is stuffed with spinach, black beans, corn, jalapenos and mixed cheese. Served with crispy shredded lettuce with a side of guacamole-chipotle ranch dressing, topped with diced red pepper and green onions. Crispy Buffalo-style cauliflower served with bleu cheese, celery and carrot sticks. 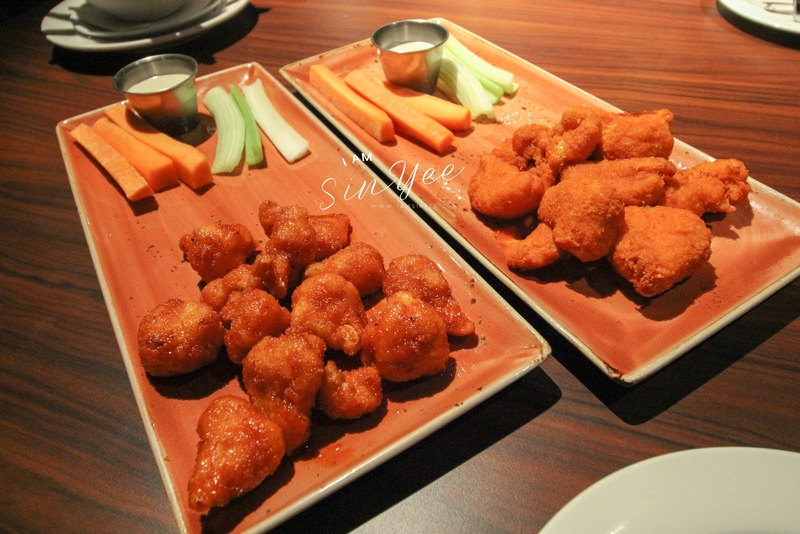 Believe it or not~ It looks completely like the classic Buffalo Chicken Wings, even the texture! If you can’t take spicy; you can opt for the non-spicy version of Cauliflower “Wings”. Greens and kale tossed in vinaigrette with vine-riped tomatoes. There are also turkey bacon, roasted corn, pecans and hard-boiled egg. Besides, this salad is topped with Southern fried chicken and drizzled with barbecue sauce. This is definitely my piece of cake. This salad is so appetizing; yet, you will stay full the whole night if you finish the entire plate yourself. Suitable for individual who opts for light dinner. Fresh mixed greens, carrots, corn, diced tomatoes, pico de gallo (Mexican salsa fresca) and shredded cheese. This is Hard Rock Special which is also topped with tupelo fried or grilled chicken breast as well as spiced pecans and crisp tortilla straws. Compared to Southern Salad, this is absolutely more filling! Patty is heartfully made by in-house, with cauliflower, garlic, egg, goat cheese, oregano and breadcrumbs. Served together with a toasted bun, at the same time, topped with zucchini, squash, Monterey Jack Cheese, arugula, tomato and garlic aioli. Burger with Cheddar cheese is always mouth-watering. Tropical Burger has it too; meanwhile, it is made with grilled pineapple, jalapeno mango salsa, turkey bacon and arugula complimented with seasoned fries. The mango is the unriped type, which produces a mild sourish taste. If you love something that tasted sour, this will probably your favourite. Atomic BurgerFor the beef lover! Atomic Burger is made of beef patty, topped with spicy fried onions, fried jalapenos, Monterey Jack Cheese with arugula, vine-ripened tomato and Atomic Ketchup. Another burger made of beef patty. The patty is grilled and dressed in a house-made espresso rub. It is also topped with lava sauce, crunchy java onions, bacon, melted Cheddar cheese and garnished with a fried jalapeno. What a meaty burger yet savoury. I dare you to eat with the jalapeno! Penne pasta tossed with a fresh tomato and garlic sauce with seasonal vegetables, fresh chili and olive oil. It is also served with oregano, Parmesan cheese and garlic toast. I am a fan of pasta. This is also one of my favorite of the night. Thick, juicy apples mixed with the finest spices and backed until golden brown. Moreover, it is served with vanilla ice cream, topped with caramel sauce, this fresh apple cobbler is so so so much savory! I am sure you wish to have all these now after this. No worries~ As said, no more limited-time offer, these are the popular items which are added to Hard Rock Cafe’s permanent menu. 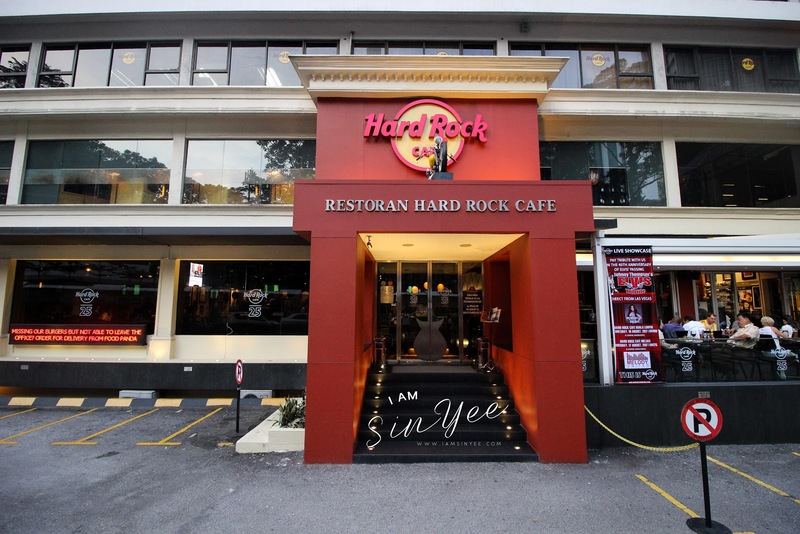 You can stop by Hard Rock Cafes in KL, Melaka and Kota Kinabalu to enjoy. BTW, don’t forget to pair these delicacies with beers or cocktails! Address: No. 28, Lorong Hang Jebat 75200, Melaka. Next articleEnhance Your Mobile Camera Experience with Bomgogo! I’ve never been to Hard Rock Cafe, but I’m currently in London so I could go there – because I love good music and good drinks. I’m not much about the food though. Since young I have heard of this place. Forty years later, still I haven’t been there. I hope, one day. 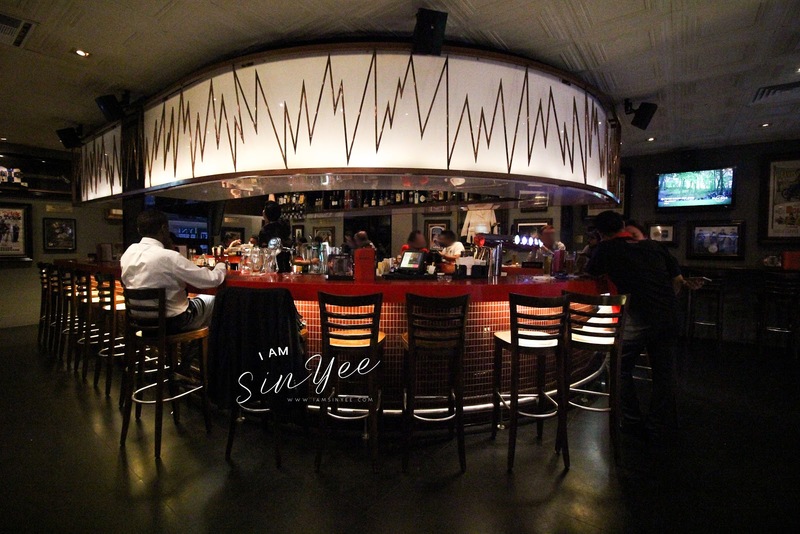 Hard Rock Cafe is an experience, not just a cafe! Java lava burger sounds interesting, but being a veggie, not for me, though! Cauliflower wings? We call it Gobi Manchurian – a Chinese inspired Indian dish. The Cauliflower burger looks yummm… I could try that out! Interesting that Hard Rock constantly innovates their menu. I noted that there is local flavor in there as well with that Serundung Burger. I wonder how it tastes like? Wow this all sounds so good! We don’t have any close by and it’s been years since I’ve been to a Hard Rock, but I may have to make a visit! Thanks! I have never been there in Hard cafe. But I’d like to try there soutwest spring roll and there salad.